Reduced to $485,000. Bank approved short sale! Single Level with a View! 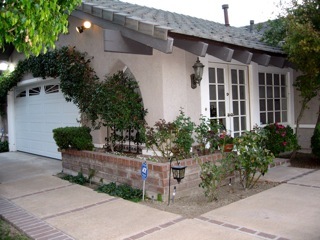 Outstanding Spanish style single level home with beautiful garden-like front and backyard landscaping. The spanish style ceramic tile flooring extends from the entry through the rear of the home and in hallways. Breakfast bar in the kitchen, Large Master Suite with access to backyard, Extended entryway, French doors open to brick and custom hardscape patio, In ground spa, vaulted ceilings and slate rock patio in backyard accented with mature trees and green foilage. Must see this amazing turnkey home. 4 sets of French Doors with Custom windows.